I thought this saying from a colleague was really astute. 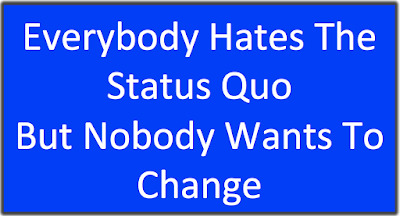 but nobody wants to change." How's that for a conundrum. The question is are we more unhappy with the dysfunctional way things are or are we more afraid to make the necessary changes in our life? 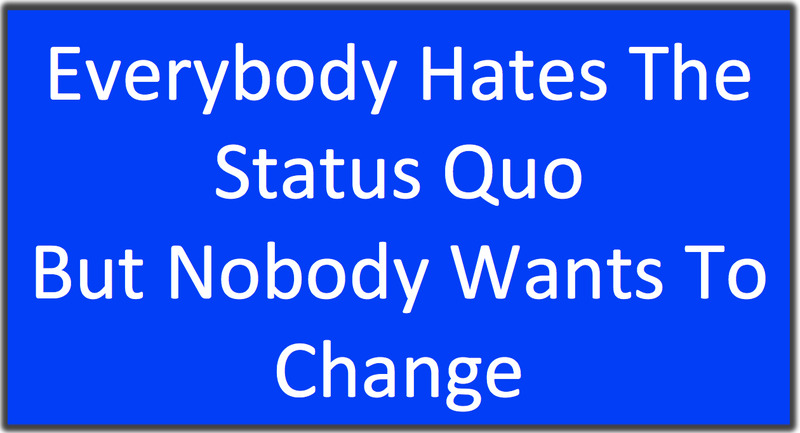 I think that when the pain and dysfunction of the status quo are greater than the fear and inconvenience of changing, only then will people quite resisting and adapt to the new reality.